There are some products, where the name really does matter. For me, Ile de France cheese is one of them. I have been buying their products for years now and have never been disappointed, which is why I enthusiastically accepted their offer to review their Camembert cheese. 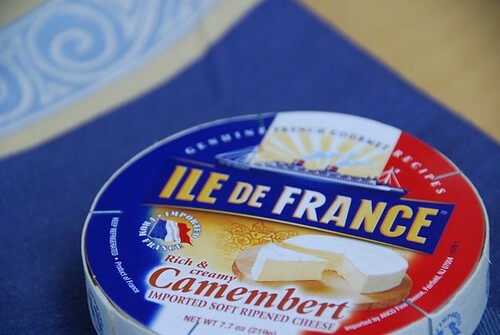 Ile de France's Camembert is a soft-ripened cheese with a luxuriously creamy texture and mild, nutty flavor. It's ideal for cheese platters when paired with olives, fruit, crackers, and toasts. 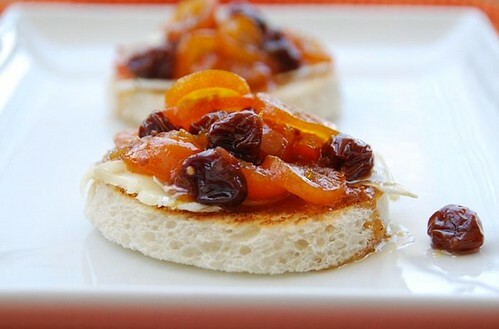 Today's recipe for Camembert and Kumquat Chutney Toasts contrasts the pleasantly mild cheese with a tart, tangy fruit and spice chutney. I have served this appetizer for dinner parties twice now to rave reviews. To save time, both the chutney and the toasts can be made ahead of time. Then just before your guests arrive, assemble the toasts with the cheese, and you're good to go. Serve them with some chilled Riesling, and trust me, they won't be disappointed. In a small, dry skillet over medium heat, toast mustard seeds and aniseed. Gently shake the pan in a back-and-forth motion until seeds are aromatic and lightly toasted, about 1 to 2 minutes. Transfer to a heavy, small saucepan with remaining ingredients. Bring to a boil, stirring often. Reduce heat to medium-low and simmer until the chutney thickens and the kumquats become translucent, about 10 to 15 minutes. Transfer chutney to a bowl and let cool before serving. Chutney can be stored in an air-tight container in the refrigerator for up to two weeks. Bring to room temperature or reheat on the stove top before serving. 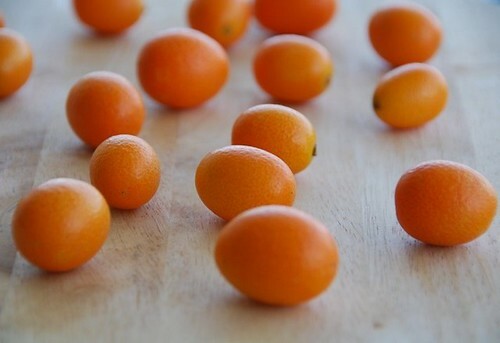 Note: To de-seed kumquats, slice the fruit into rounds with a sharp paring knife. Using the tip of the knife, gently pluck the tiny seeds from the slices. Using a round cookie cutter or the top of a glass, cut as many circles of bread as you need. Place on a large baking sheet, and broil for 2-3 minutes, or until crisp and golden. (These can be made several hours ahead and left uncovered on the counter top.) Top each bread round with two thin slices of Camembert and a spoonful of chutney. Place on a serving platter. Serve immediately. Camembert and Kumquat Chutney. Say THAT 3 times fast! What a stunning combo! I bet that I wouldn't be disappointed by such delicious toasts! Mmmm, so sweet and creamy. Love these bite-sized treats. That is an incredibly creative combo. Mmmmm...camambert...good stuff. I haven't had kumquats in years. I'm inspired to go buy some now. I could eat 2 or 50 of these. They sound so good! I would serve this to friends anytime. What a wonderful appetizer. sdoc-I hope you do buy some. They're in season right now. helene-That's so nice to hear. it is a rare day I see a recipe which tempts me to buy kumquats but you have done it - that chutney looks delicious - and I love chutney with cheese of any sort - yum yum! My Mum always called caped gooseberries / physalis (however you spell it) kumquats, even though they're totally different. No amount of arguing will convince her otherwise. I received some Ile de France cheese too. Very impressed. Oh my gosh, that looks divine! wow! those look and sound delicious!! i adore kumquats!! Gorgeous! What a great appetizer for summer entertaining, too. Yum. OMG'd those are wonderful looking! I have not had a kumquats in forever, and what a great appetizer, as it reeks of such a flavor combination! mark-Why, thank you so much! scott-That's too funny. I know what you mean. sharon-That's sweet of you to say. abby-Reason to throw a party! ashley-Yup, you can eat the peel. chefe-Now is the time to try them again! pip-Good thing you found it!